Like a lot of people I have always found it difficult to stick to a skincare routine but over the past 6 months I've definitely improved. I never used to have any problems with my skin, apart from it being dry, but over the past year it's definitely gotten worse and I've been getting so many breakouts and spots so I've been determined to find some products that work for me. My routine will often change a lot depending on whether I'm trying out any products to review but generally this is what it is on an everyday basis. I didn't think I had enough to say about the products I use at night so I just included them in this post as well! I reviewed this product that the team at Monu kindly sent over to me to review back in March and ever since then I've been using it most days. It's recommended for those with dry or sensitive skin and my dry skin needs all the help it can get, I love it because it leaves my skin feeling refreshed and also soft. When it says it is delicate as well it really does mean it, I've never had a problem with this being harsh on my skin! It's not a inexpensive highstreet face wash but it really does leave my skin feeling super soft so I'll definitely have a hard time deciding whether to restock it once I've run out. This is more of a recent and affordable addition to my morning routine, as I said before my skin is quite dry and my makeup never sits right unless I regularly exfoliate so I use this every other day. Most of the exfoliators I've tried in the past though have been way too harsh to use that often but I haven't found that to be the case with this. This is really gentle on my skin but it also leaves it feeling smooth and refreshed, my makeup always glides on easily after I've used this! This is both a new addition to my skincare routine and the Witch skincare range, you'll see when I talk about my nighttime products that I love the night version of this so when I saw that they were bringing out a daytime one I had to try it. It has completely lived up to my expectations as well, not only does it help to keep my skin clear but it is also a makeup primer. It is a serum so you really don't need much of it and it sinks into my skin so quickly leaving it feeling soft, moisturised and ready for makeup. I've honestly been so impressed by this and would really recommend it. 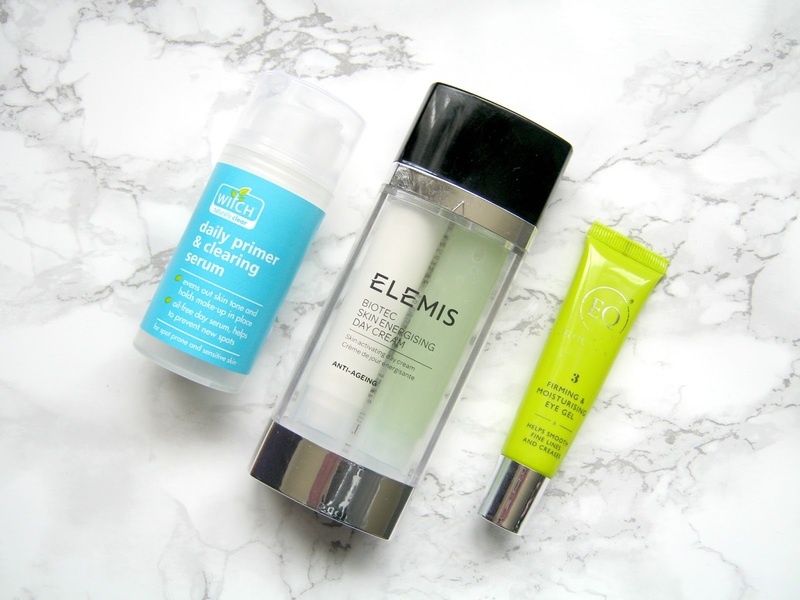 Last month I reviewed the new Elemis Biotec range after they kindly sent me the products to try out and as you can see 2 of them have made it into my everyday skincare routine. This is the first one, the day cream, and if you've read my review then you'll know that I really like this. 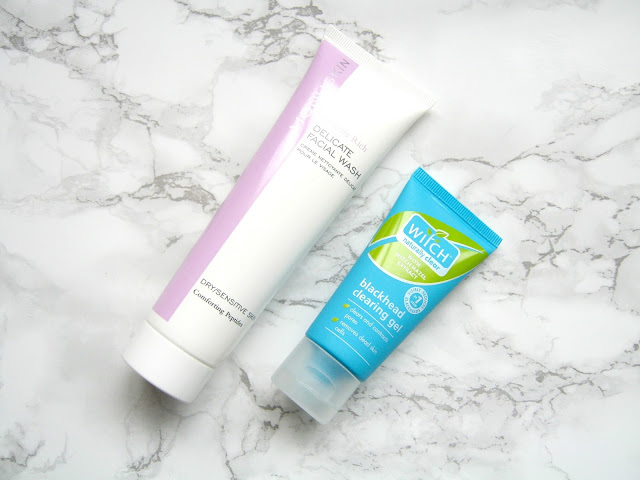 Two products inside combine to create a moisturising and energising day cream, it is targeted more towards older people but I find it benefits my young skin really well. Before I used this I often found that my skin felt really dry by the time the afternoon came around but now since I added it into my routine I've found that my skin feels soft all day. 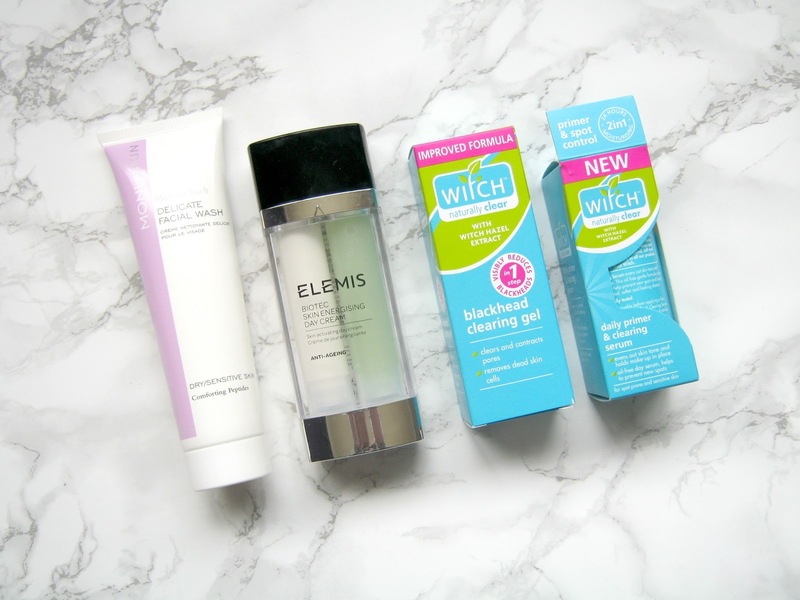 At the end of last year I was sent over some of the Eloquence products to try out and review, they were a new brand to me and there are several products that I regularly use from them still but it's the eye gel that I haven't put down since. I'm very close now to having to cut the product open to get the last few drops out as I've been using it so much! My under eye area has always been very dry but I've noticed a huge difference since I started using this, it's been about 6 months now and it's really improved my skin. I notice it most when I apply concealer, it glides on a lot easier and looks better now. Unfortunately it isn't the cheapest of products but I'm not sure I can be without it now! Now onto my night time skincare routine! 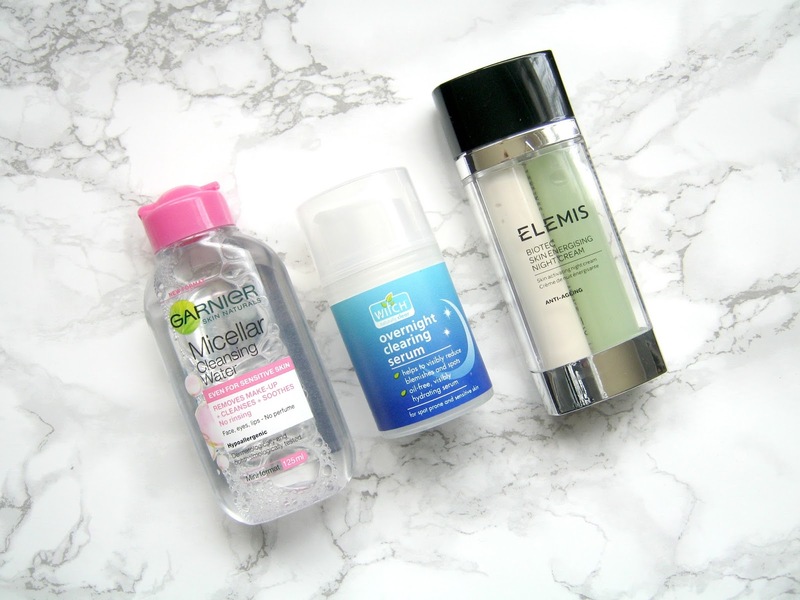 To remove my makeup I use this micellar water, I switch between this and a few others a lot but I always come back to this one mainly because you get more in a bottle compared to the L'Oreal one! I find it easily removes all my makeup, including stubborn waterproof mascara and anything that it doesn't remove my Monu face wash takes care of. I also really like the Garnier one as you can get it in a travel sized version which is great for travelling! I won't ramble on about this product for too long as it is pretty similar to the day version, this is the one that made me love Witch skincare though. This is definitely thicker and more moisturising than the day one as obviously it has all night to work it's magic. Whenever I have really bad spots I apply this and even as quick as the next day I find that my skin has improved slightly, often within a few days my spots are well on their way to clearing up thanks to this! If you get a lot of stubborn spots then I would really recommend both this and the newer day time version. Finally at night the last product I use is the night version of the Elemis day cream that I mentioned earlier. They are both very similar in that two products are combined inside whereas this one definitely feels thicker and heavier. It does take a while to sink in so I wouldn't lay down straight away after applying it but I think that the thick consistency helps to leave my skin feeling soft and moisturised by the morning. 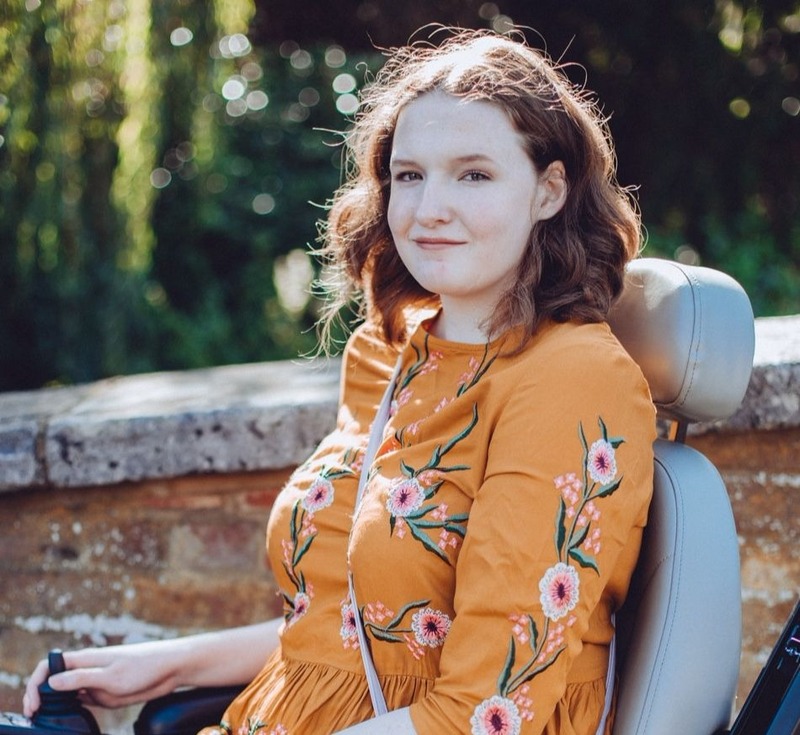 In reality you could easily find something similar on the highstreet for a much cheaper price but for now I'm really enjoying having a little bit of luxury in my routine! I love Garnier Micellar water to take off my make up, I've tried the oil based one and that is great for my dry skin. I love using No7 and Clarins skincare.